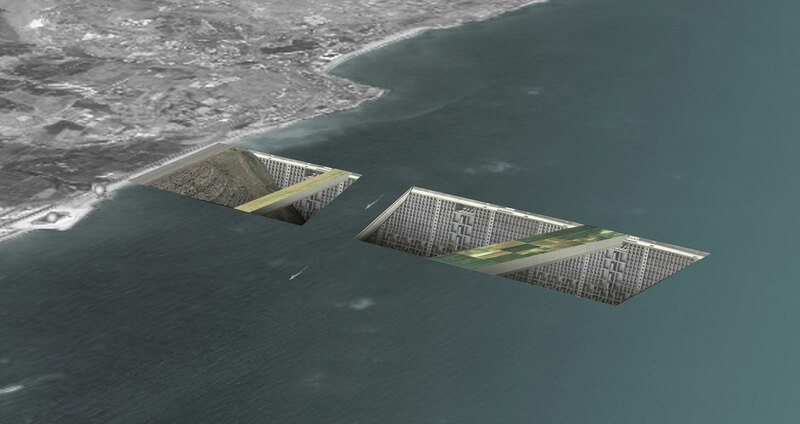 Offshore Urbanism involves a reinterpretation of the program of architecture through shear displacement to international waters where the drape of local constructs is momentarily lifted. 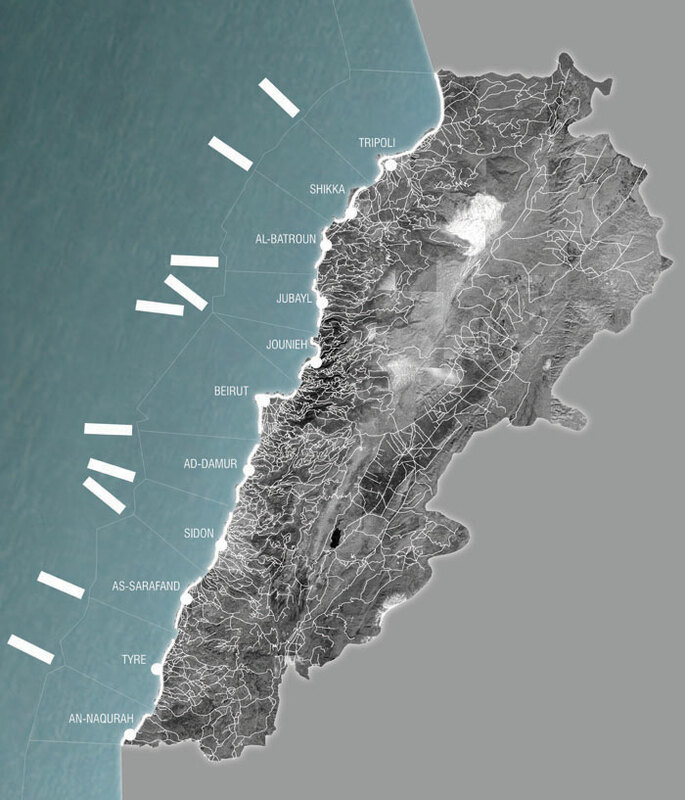 Evacuation barges for the whole Lebanese population, subtracted from the page of the mediterranean, host architectural programs that make use of the ‘migration’ aspect of the evacuation to reflect on social issues that are of divisive and controversial nature back ‘home’. 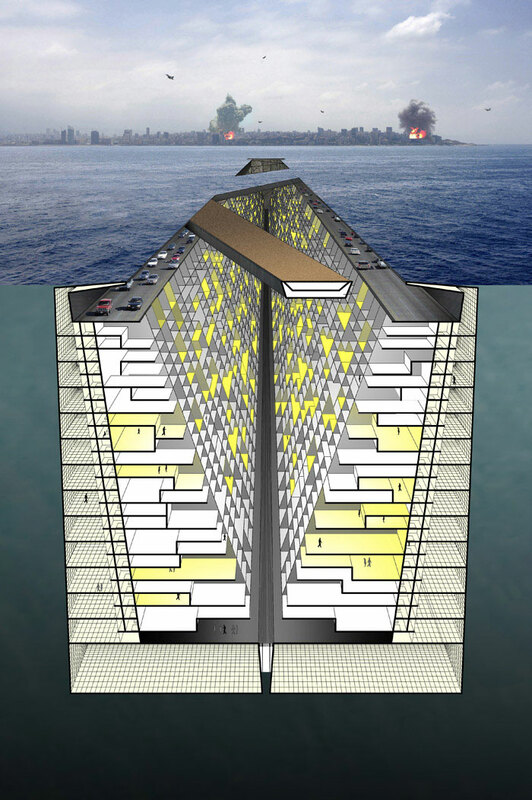 Each barge is split into a subterranean parking/ clearance facility topping a hybrid remedial facility. 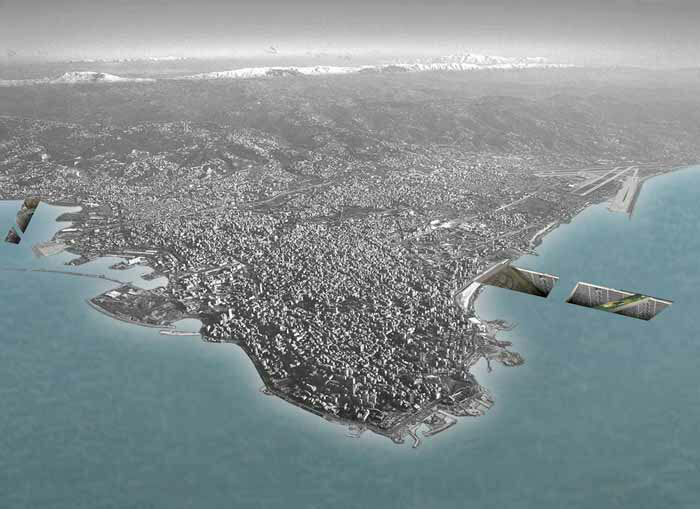 Beach: Given the recurrent timing of Lebanese wars in or before the lucrative tourist-filled summers (July 2006, march 1996 etc...), the piers would contain sands from Lebanon as surrogates to the local beaches. Level with the Mediterranean, once shipped out to safe waters, tourism season is reclaimed in international waters by locals and tourists alike. Social Housing: Filled with locals from across the country, a redistribution of the population is based on parameters other than sectarian divisions to allow for an interaction absent back home. Adjacent to ‘pre-traumatic stress’ clinics and the roof garden/cemetery/beach above, proximity to either becomes of therapeutic nature. Chapel: Starting as a hybrid of a mosque/church, once it reaches the international waters, it acts as a secular chapel for civil marriages still banned in Lebanon under the current laws. Birth Clinic / Abortion Clinic: Once ferried out of territorial waters, the on-board gynecological clinic provides abortion services. 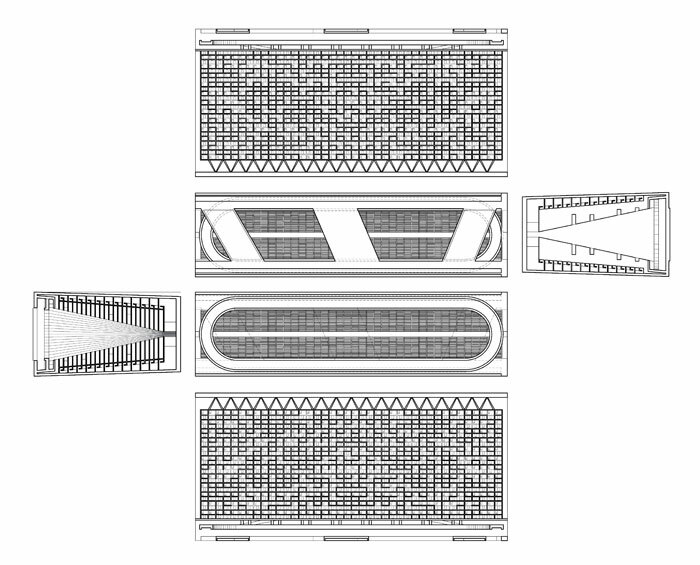 The barges provide a temporary exodus for healing purposes, considering the clinical potential of having a society distressed en masse. 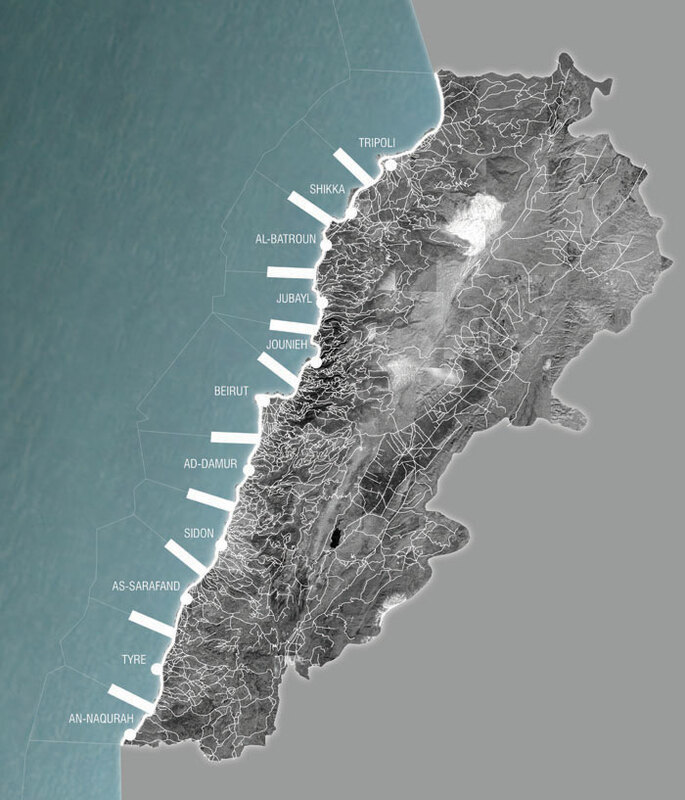 Once, the behavioral patterns of the Lebanese patients back home simulate the ones they developed on the barges, the barges become mere capsules of social desires for repressed societies. 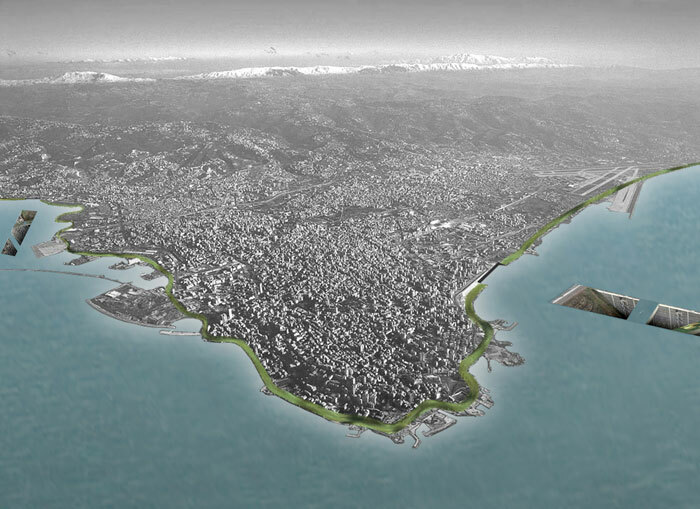 They migrate to other countries and accumulate more subversive programs while providing temporary shelters, and get grounded across the countries’ littoral, dismantling their major vehicular highway and reconnecting cities to the Mediterranean through public park piers.